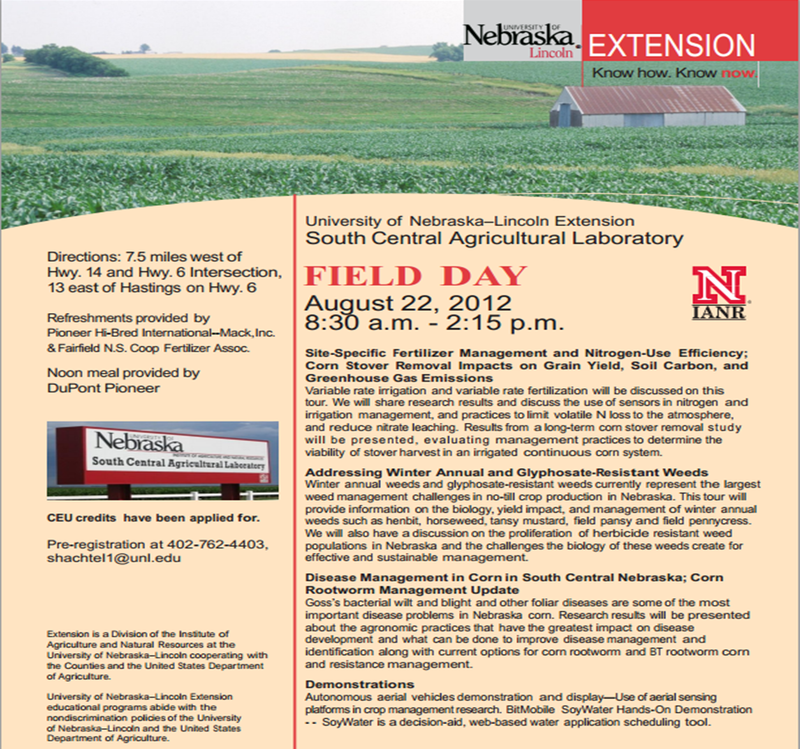 We have a great field day coming up on August 22 at South Central Ag Lab near Clay Center. Check out the flyer below for more details and hope to see you there! 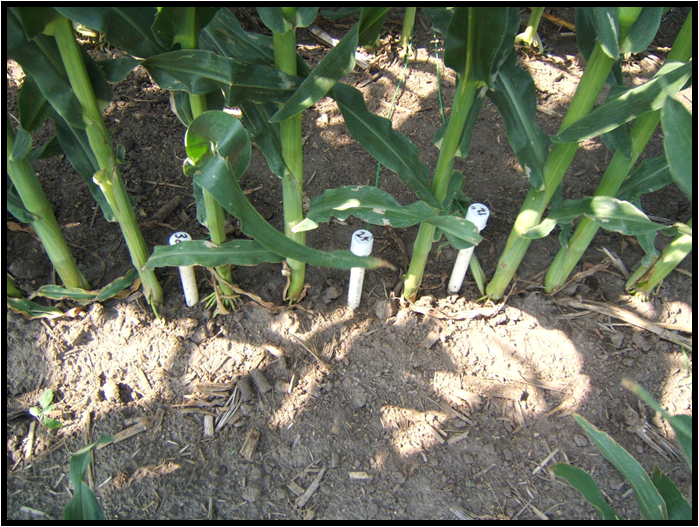 Water use efficiency (or crop water productivity) is important in crop production. The seed Industry has invested scientific efforts and financial resources into developing hybrids and varieties that can better tolerate environmental stresses such as water stress. Rainfed corn has increased in acres, replacing sorghum year after year. 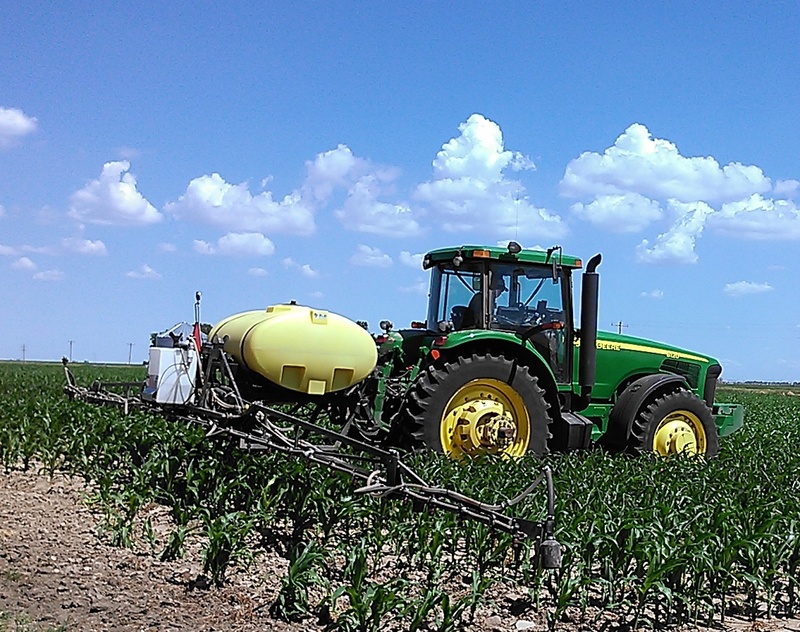 This trend may be partly due to the basis price, herbicide options, and newer corn hybrids bred with root systems to better withstand water stress. 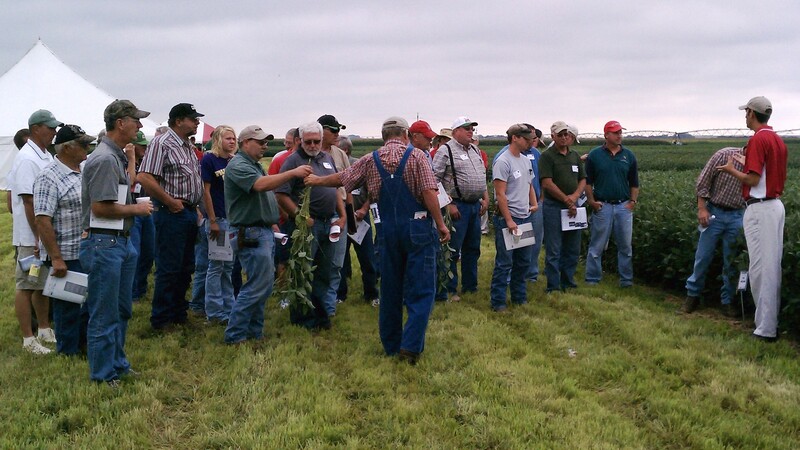 In 2009 the question was posed, “Is sorghum still the most crop-water-use-efficient crop, given newer corn hybrids in rainfed fields are providing decent yields and more herbicide options?” To answer the question the Nebraska Grain Sorghum Board funded a project in south-central Nebraska. 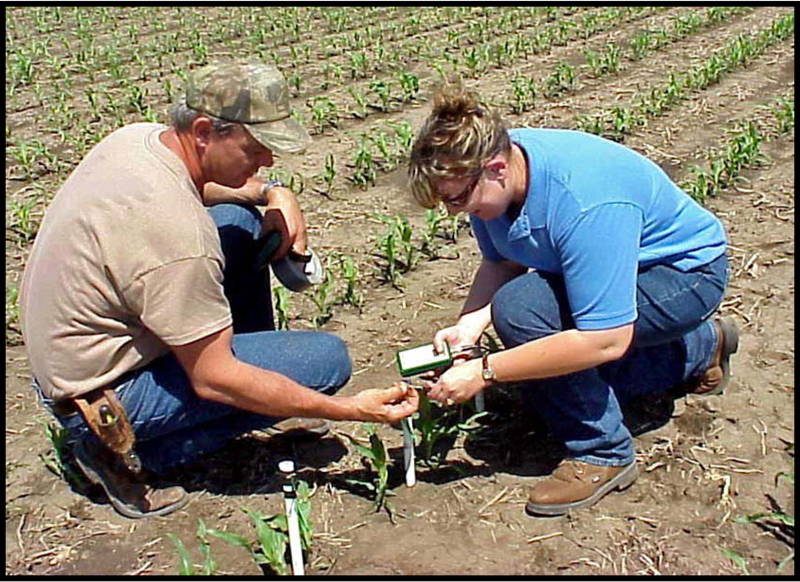 On-farm research was conducted for three years in rainfed production fields near Lawrence with the most adapted and high-yielding corn, sorghum, and soybean hybrids and varieties for that area. 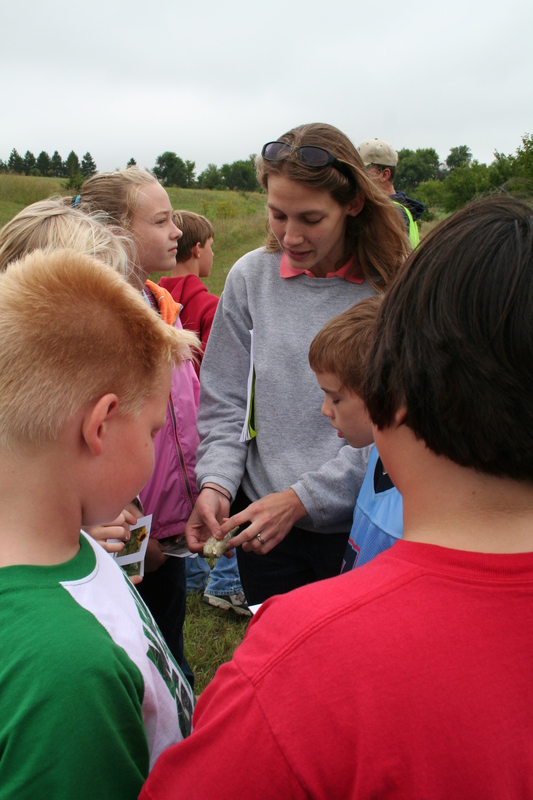 The research was conducted in no-till fields where the previous crop had been sorghum. A randomized complete block design with three replications was used. 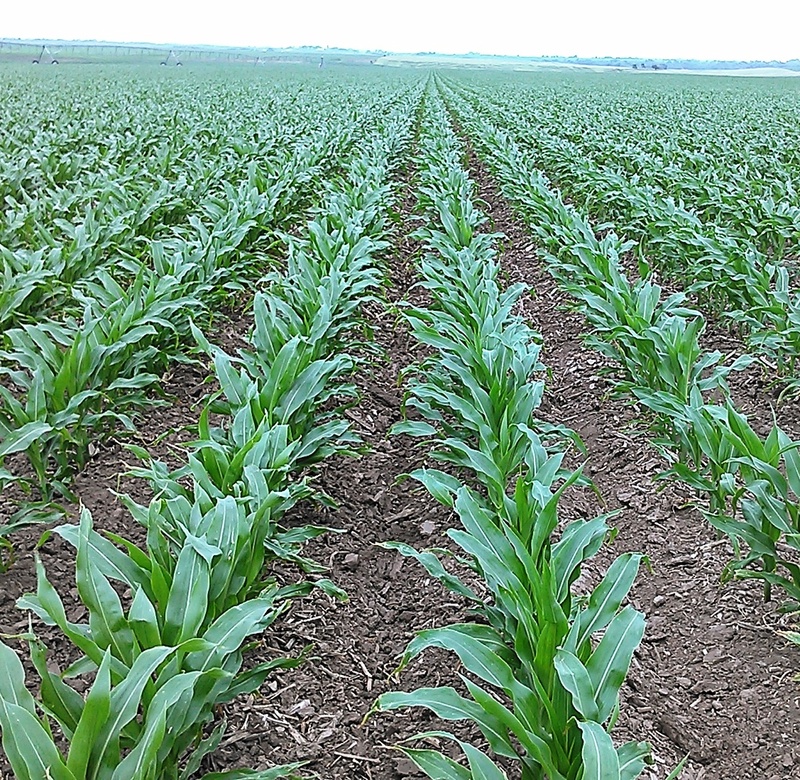 Corn and soybean were planted between May 5 and May 7; sorghum planting ranged from May 19 to May 28. 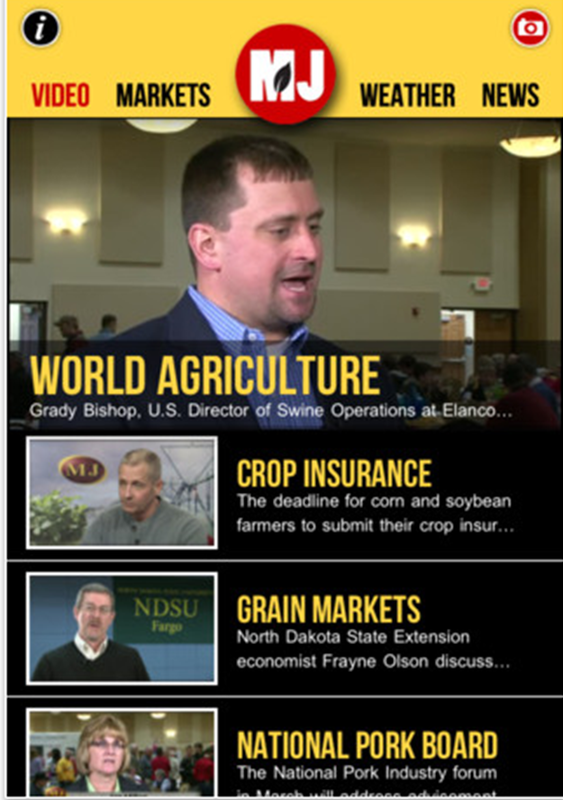 Corn was planted at 20,000 seeds/acre, soybean at 135,000, and sorghum at 65,000. 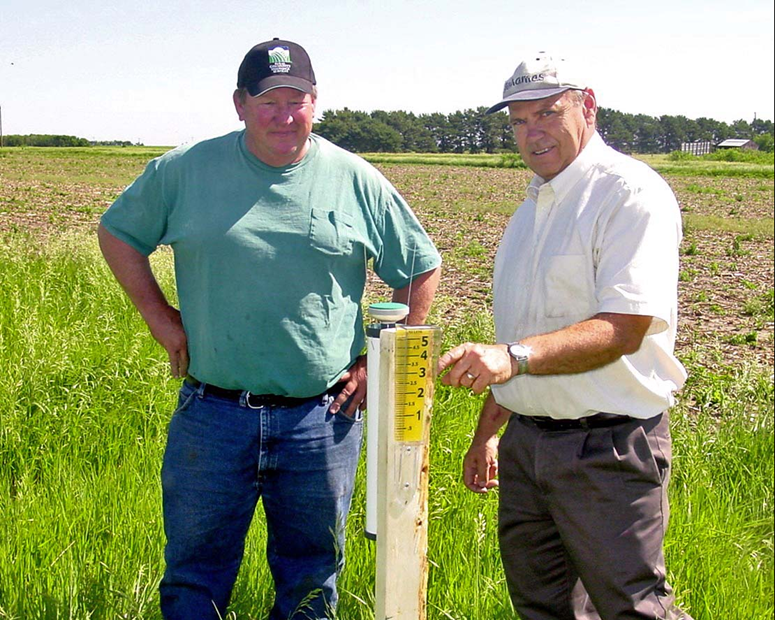 Rainfall in this area varied greatly from 2009 to 2011: 2009 was dry with only 10 inches of rain during the growing season; 2010 had 16 inches, and 2011 had 20.5 inches from May 1 to October 15. 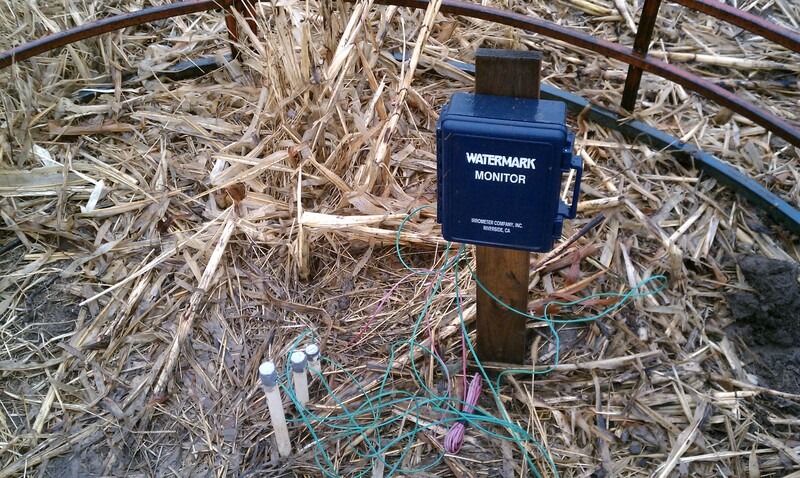 To monitor soil moisture, Watermark sensors were placed at 1-, 2-, 3-, and 4-foot depths in each plot and the readings were recorded hourly throughout the growing season via Watermark dataloggers. 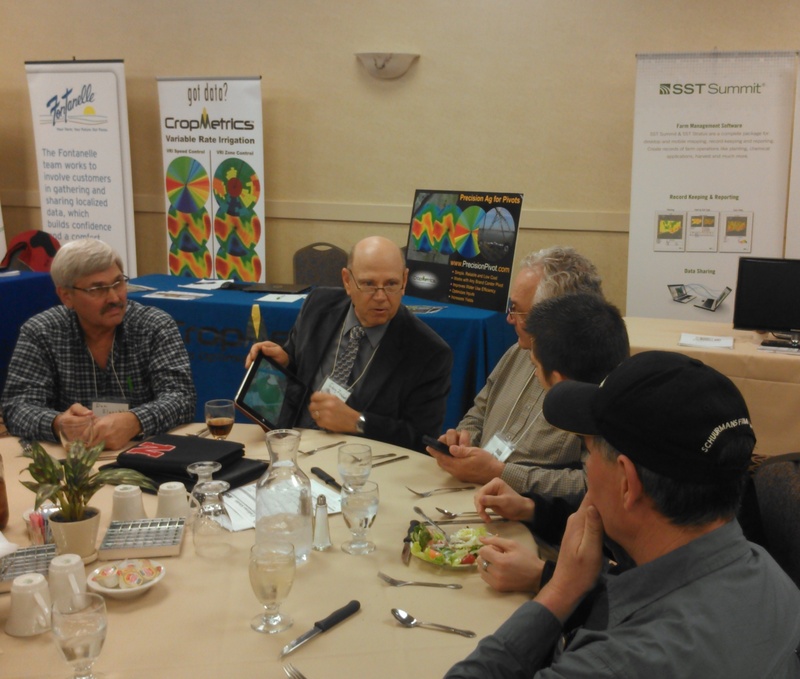 Data were compiled and analyzed to determine crop water use efficiency (CWUE) values. 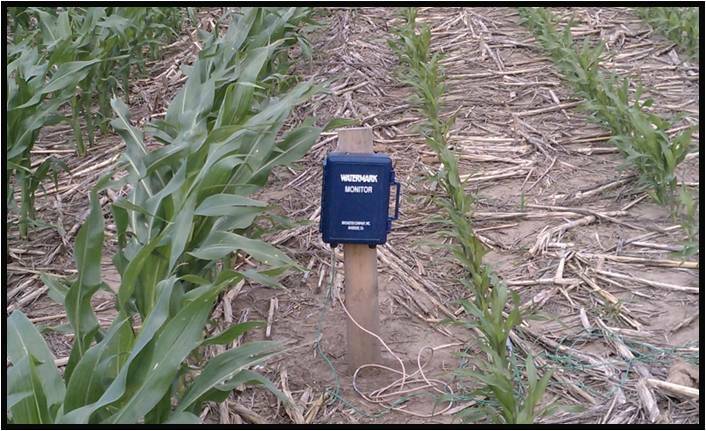 The CWUE values were determined from the Watermark soil moisture data, actual crop water use (evapotranspiration), and grain yield for each crop. Results: Table 1 shows actual crop evapotranspiration (ET) in inches, grain yield, and crop water use efficiency for each crop in each year. 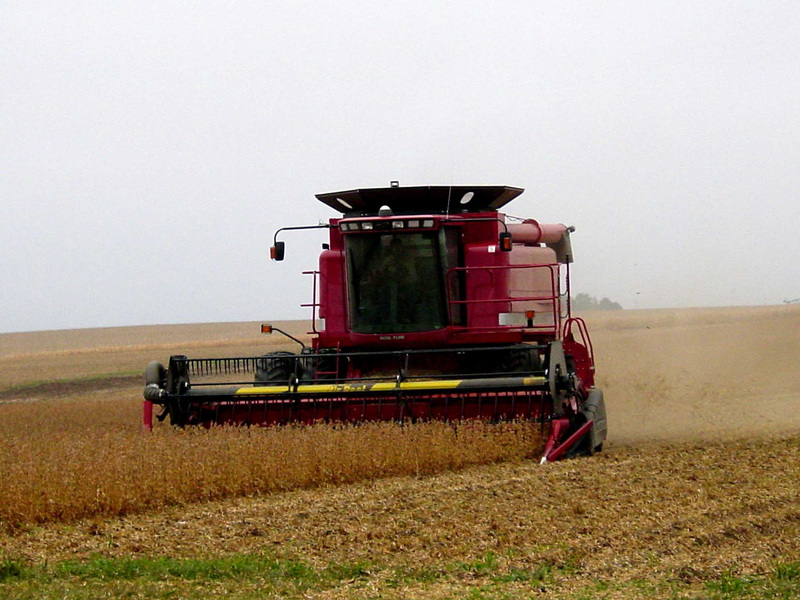 Corn was the most water use efficient of the three in 2009. Sorghum results in 2009 might have been different if rainfall had occurred to activate the sorghum herbicide as grass pressure was heavy in the sorghum plots that dry year. In 2010-2011, sorghum yielded the most, had good weed control, and had the best crop water use efficiency value. Table 1. 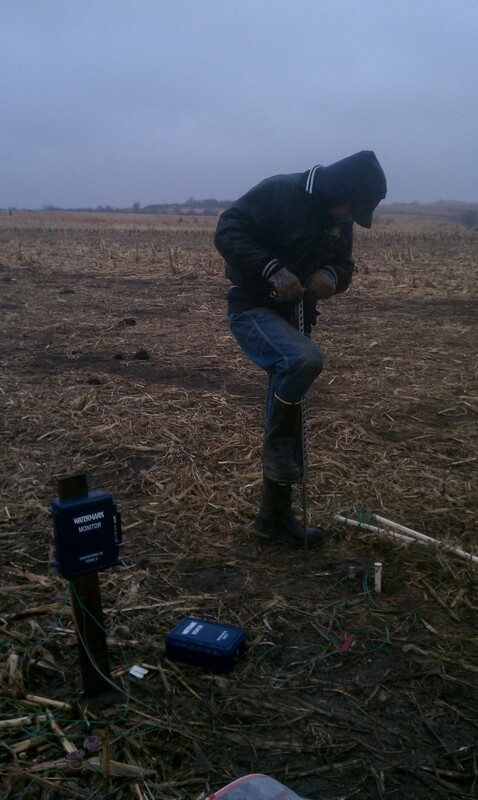 Crop water use efficiencies in on-farm field trials conducted near Lawrence, Nebraska, 2009-2011. Overall in this study, sorghum had a crop water use efficiency of at least 5.5 bu/inch; corn, at least 4.3 bu/inch, and soybean, at least 2.0 bu/inch. These results show sorghum’s continued value as a crop that efficiently uses water. 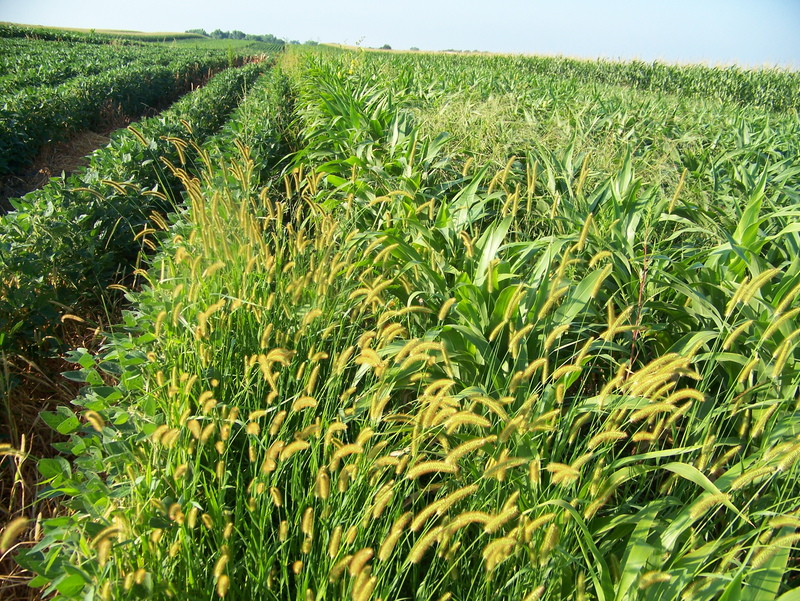 Sorghum produced more grain per unit of water used than corn or soybean, an important benefit in water-limited environments. On a three-year average, sorghum resulted in 1.2 bu/inch and 3.5 bu/inch more grain production per inch of water used than corn and soybean, respectively. 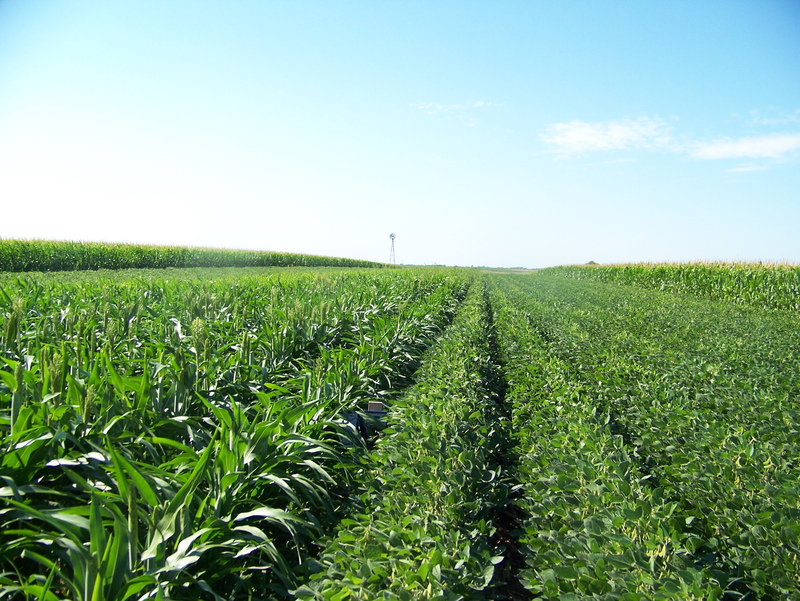 This study did not compare sorghum or soybean with new “drought-tolerant” corn hybrids. Graphs, charts, and production information can be found here. 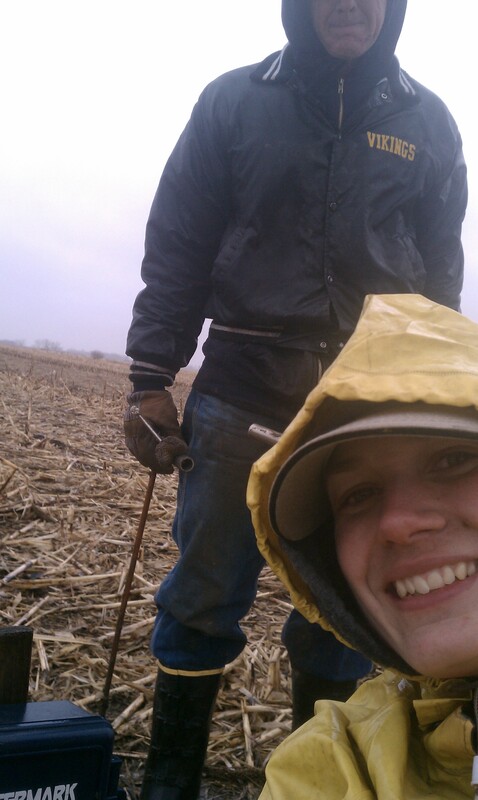 Acknowledgements: Special thanks to John Dolnicek of Lawrence, Nebraska for allowing this research to be conducted on his farm and for all his help and efforts to make it a successful study and to the Nebraska Grain Sorghum Board for funding this study.